A letter from temperance supporter E. B. 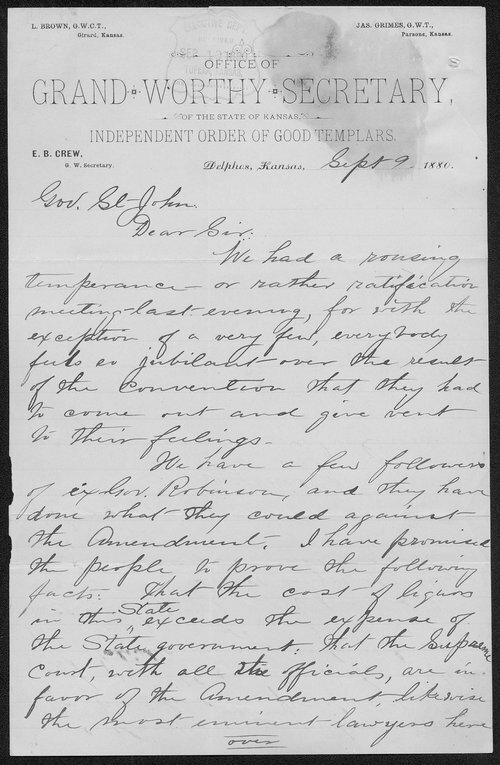 Crew of Delphos to Kansas Governor St. John, contending "that the cost of liquors in this State exceeds the expense of the State government", and asks for statistics to help prove his argument. Crew if the Grand Worthy Secretary of the Kansas Independent Order of Good Templars, a temperance organization.